Together with our Israeli colleagues at Israel’s Peace Now movement, we are fighting to save Israel from being hijacked by those who have little regard for the just, peaceful vision of Israel’s founders, the signatories of its Declaration of Independence. We at Americans for Peace Now refuse to let Israel be defined by the ultra-nationalists and the religious fundamentalists. We also refuse to give in to the fatigue and apathy that seems to be politically and ethically paralyzing many Israelis and American friends of Israel. It’s a fight over Israel’s future, a clash of conflicting visions. And our vision – your vision – can only prevail with your help. It’s not too late early to make your year-end a 2015 tax deductible gift to support Americans for Peace Now and our partners in Israel. Your donation enables Peace Now and APN to keep up the fight. 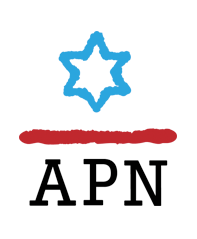 Support APN, and help us make this year - 2015 - a year in which our vision of Israel prevails. Help us SPREAD THE LIGHT and receive "The Unmaking of Israel"
Help us SPREAD THE LIGHT and receive "Jerusalem, A Cookbook"